4 YRS Guangzhou Survivors Outdoor Equipment Co., Ltd.
&bull;Made of high quality 18 gauge steel material. &bull;Suitable for outdoor activities. 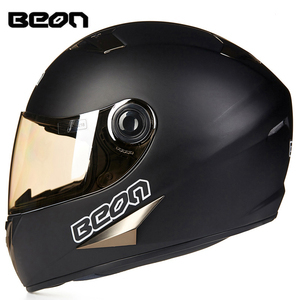 &bull;Perfect helmet for collectors, airsoft/paintball players. 7 YRS Anhui Funan Aoyang Hardware Plastic Co., Ltd.
3. Soft & Comfortable Inner Liner. 5. UV Protective Paint Finish. 6. Packing: helmet bag and inner box in CTN. 4 YRS Wenzhou Jiahui Auto & Motorcycle Fittings Co., Ltd.
3 YRS Shangqiu Xinding FRP Products Co., Ltd.
We promise to exchange products or compensate for your loss, if the quality problem charges upon us. 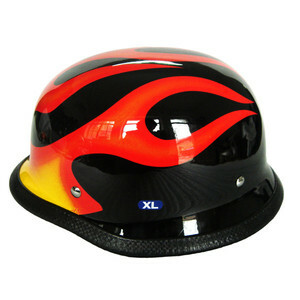 We have more than 10 years' experice on making and design many kinds of helmets. 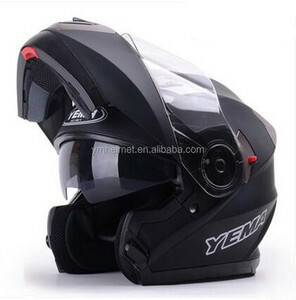 Our products mainly include helmets for motorcycle, professional helmets for sports, and many other non-standard helmets. 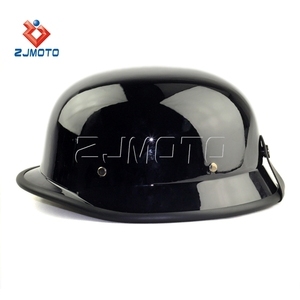 3 YRS Foshan City Tianxiang Sporting Goods Co., Ltd.
7 YRS Zhejiang Bailide Motorcycle Fittings Co., Ltd.
Anti-scratch PC clear visor 3). Hingh Quality Sponge lining. 4). Well designed ventilation system 8). 4.Function: head secure 5.Size: adjusted string, head size less than 63cm diameter. 7.Features: (1)surface had be matted dealing , can be hidden very well ,security performance high. In china ,one of benma's main products had shared the market for 70% for more than 30 years . 2. Plush brushed comfortable interior 3. Large eye port opening for greater visibility 4. 3-snap , low-profile visor design 5. Neatly secures excess chin strap 6 . With years of hard work, our products exported to many countries, main market are: North America, South America, Europe,Asia and Africa. Our brand"GOOD" is the first nationwide chain management enterprise in the motorcycle accessories industry. 3 YRS Shenzhen Ejeas Technology Co., Ltd.
Our facility is located in Jinhua City, Zhejiang Province, China, specializes in manufacturing motorcycle accessories. We keep on providing competitive prices, good quality and best services, and are recognized as a reliable and experienced supplier by our customers. In our trade with customers from various countries, we always adhere to the principle of "equality and mutual benefits". 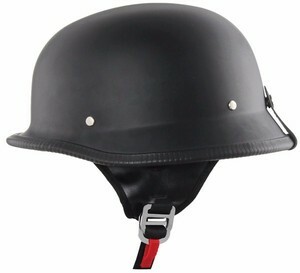 Alibaba.com offers 1,667 german helmet products. About 7% of these are other police & military supplies, 1% are other security & protection products, and 1% are metal crafts. 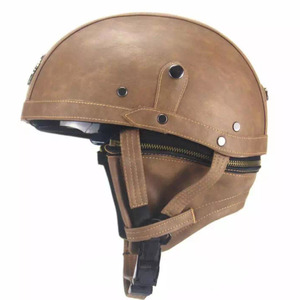 A wide variety of german helmet options are available to you, such as half face helmet, open face helmet, and full face helmet. You can also choose from leather, abs, and metal. As well as from dot, ce, and ece. And whether german helmet is free samples, or paid samples. There are 1,667 german helmet suppliers, mainly located in Asia. 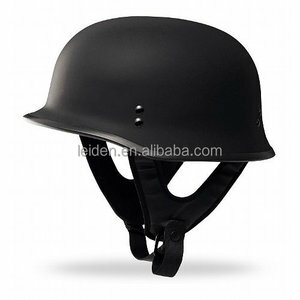 The top supplying country is China (Mainland), which supply 100% of german helmet respectively. 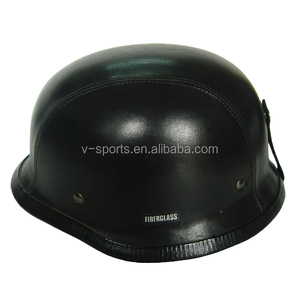 German helmet products are most popular in North America, Domestic Market, and Western Europe. You can ensure product safety by selecting from certified suppliers, including 619 with ISO9001, 153 with Other, and 113 with BSCI certification.